Refresh a Wounded Soul – Where in the World are the Wards? Retired pastor Papa Ejampi Suave a had a vision and dream to build a refuge for these women. Using money out of his own income for over 20 years, he has fed and clothed numerous women getting medical care for their wounds and a new start in life. 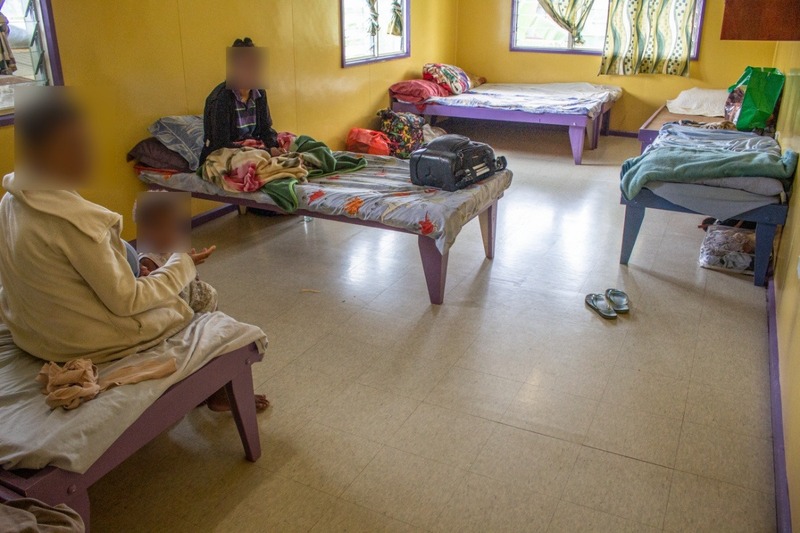 ” I don’t want want the same things that happened to me, happen to may daughter,” – Survivor living at the Meri Safe Haus with her two daughters.
. Children are sent to school and have their school fees paid. They are in great need of a consistent and sustainable water solution. Their connection to town water can be off for hours or even days at a time. This can bring a lot of challenges while trying to cook food, provide drinking water, clean, wash clothes, and bath for large amounts people. We are raising money to purchase a large water storage tank (for storing town and rain water), gutters to collect rain water, and a hand pump and gravity feed system to push the water to where its needed. Our goal is to have have all needed funds raised by the beginning of May. Visit the Refresh a Wounded Soul Facebook page to read more about the Meri Safe Haus and the Refresh a Wounded Soul Project.